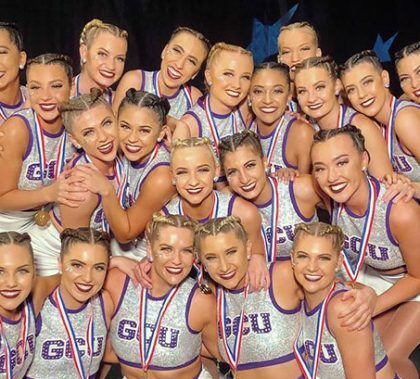 GCU Dance coach Jacque Genung-Koch said it was “pretty exciting and super humbling” when her team won the Division I Game Day competition Friday in the Cheerleading and Dance Team National Championships at Orlando, Fla. “We got the chance to do what we do at home, on a national stage. 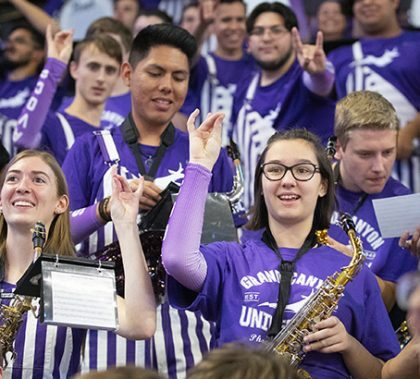 It was exciting to bring what we are, who we are at GCU, for other teams to see and for a judging panel,” she said. The team also finished second in the jazz competition. 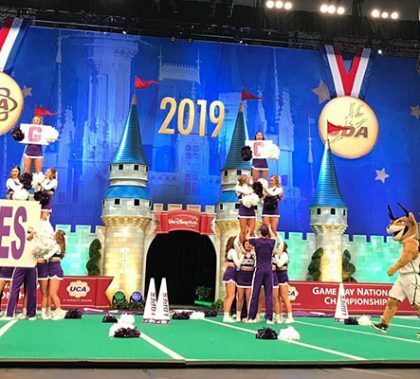 The GCU Spirit team’s ability to fire up the crowd will be the key to the Game Day competition in the Cheerleading and Dance Team National Championships, which begin Friday in Orlando, Fla. 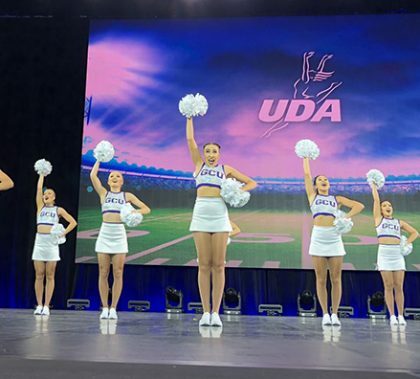 The Dance team also will compete in a traditional favorite, the Jazz event, and the Cheer team will show its athleticism in the small Co-ed Division I event. Also, Thunder and the drum line are participating in a demonstration of spirited and rhythmic collaboration. 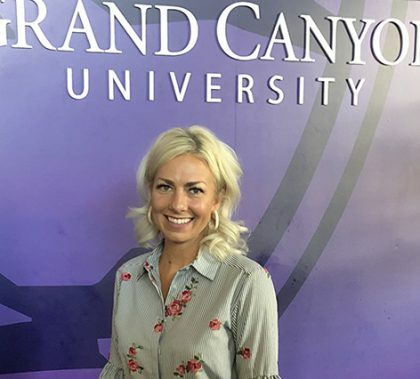 Grand Canyon University Dance team coach Jacque Genung-Koch is the driving force behind the phenomenal success of the program, which integrates with the Cheer team, Thunder, the Havocs and the band for a highly charged atmosphere at athletic contests and campus and community events. She says there’s more anticipation than ever for this year.